Hailing from the same hometown as The Cars, Nervous Eaters, The Odds, Didn’t Planet and countless other very talented bands, Watts is yet another example of why there may be no better place to be a rock fan than Boston, MA. 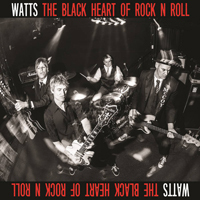 Their latest and fourth LP, Watts Black Heart of Rock ‘n’ Roll is loud, fast and exhilarating. The dueling guitars of John Blout and Dan Kopko will bring a smile to the face of even the most discerning guitar aficionados. You’ll hear hints of AC/DC, The Stones and Aerosmith. And With no shortage of hit-worthy hooks, The Black Heart of Rock ‘n’ Roll is one very engaging record. While there are several noteworthy tracks on Black Heart, “She’s So Electric” is one that grabs the listener immediately. It’s got all the elements of a good Stones track. In fact, if one where to fold it into the songs on Tatoo You, young listeners unfamiliar with the Stones catalog would likely think it was recorded with the LP. And it would be one of the better songs on the record, quite frankly. “Fast and Loose” is another winner as is “Sunset” and “The B-Side”. But the best song on Black Heart may be “Stage Fright”, a track that will remind you of vintage Aerosmith. Listen to this LP or watch their video for “Up All Night” and you get the feeling these guys really love what they do. 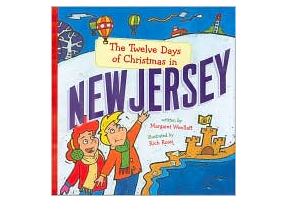 Check out the video below and see if you get the same impression as I did. Not every song is a keeper however, there’s a lot to like about Watts Black Heart of Rock ‘n’ Roll. Buy your digital copy from the Watts Bandcamp page or get your physical copy at Kool Kat Musik. PLAY IT LOUD.